Previous Can You Identify the Alternate Covers for These Well Known Books? This Guatemalan writer was the second Latin American to receive the Nobel Prize in Literature, and he accepted it for this novel in 1967. The book is based on the Guatemalan President Manuel Estrada Cabrera, who reigned from 1898 to 1920, before being convicted and jailed for corruption. Asturias both satirizes dictatorship and illuminates the psychological abuse it unleashes onto citizens, all the while employing rich prose. This novella takes place over New Year’s Eve in a haunted luxury condominium in Buenos Aires. The building is unfinished but occupied by squatters, and the story focuses on one immigrant family from Chile, who can see ghosts, which they try to ignore. The ghosts are a highlight of Aira’s work, described as naked, potbellied construction workers, who pull strange stunts to get the family’s attention (a few tricks involve their penises, which may explain why this isn’t a classroom read). They do eventually entrance the family’s daughter, which puts her life at risk. Aira has published over 80 books of stories, novels and essays, but this is definitely the best starting point to exploring his provocative prose. Similar to Aira’s modern novella, this is a story haunted by ghosts — however, the line between the living and the dead here is much more blurry. The story is set in Mexico after the revolution, as the narrator Juan sets out to find his father, Pedro Paramo. He ventures to the town of Comala only to find himself in a place much like purgatory, filled with hallucinations and spirits. At times, it’s hard even as a reader to figure out who's alive and who isn’t! 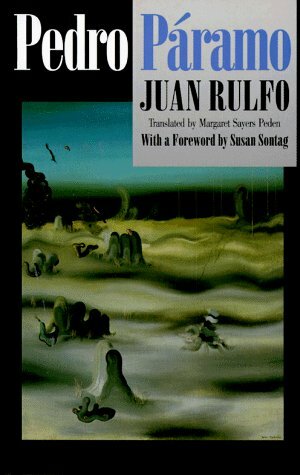 This 1955 book was among the first Latin American novels to break away from a realist style and begin to define magical realism, influencing writers like Carlos Fuentes, Mario Vargas Llosa and Gabriel Garcia Marquez. Carpentier’s book is a portrait of post-colonial Haiti that reveals the heartbreaking, paradoxical failure of King Henri-Christophe’s black Haitian regime, which followed the French colonists in a vicious circle of violence, corruption, chaos and political upheaval. The story is told through the perspective of a slave named Ti-Noel, who conceives that revolution hasn’t freed anyone. Carpentier conveys the horror of Henri-Christophe’s regime with a surreal perspective of folk wisdom, voodoo ceremonies and thirst for blood. It’s a bleak, bleak novel — about as terrifying a classic as Heart of Darkness. 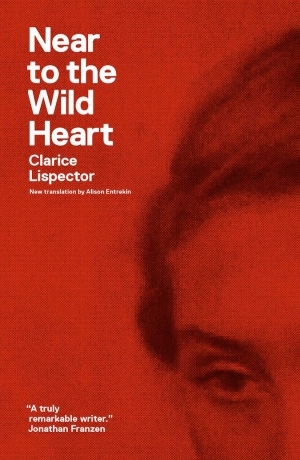 Get this: Lispector wrote this book when she was only 23 years old. The story is told from the stream-of-conscious perspective of Joanna, beginning with her days as a child and on to the failure of her marriage as a grown woman. Joanna is a wild character, often described by Lispector in likeness to creatures who cannot be contained: a wildcat, a bird, a snake. It’s a great example of the work of a strong Latin American woman who too often is ignored when it comes to required reading lists. 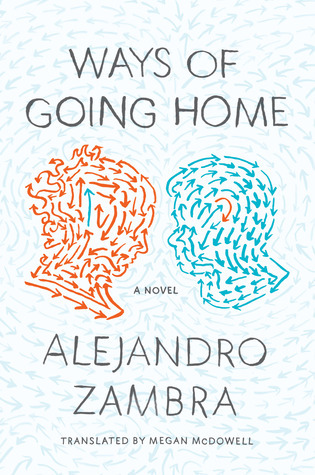 Coming out in early 2013, Zambra’s book is a more recent publication than most of the titles on this list. The novel is split in two perspectives. The first is that of an unnamed nine-year-old boy who lives in a suburb of Santiago, Chile. He witnesses an Earthquake and meets Claudia, an older girl from the neighborhood who he finds camping outside with her family and the rest of the neighborhood for safety. But Claudia has an ulterior motive in their friendship: She wants the narrator to spy on her uncle. When the narrative splits, the second protagonist is revealed as the writer of the story. His father is a quiet man who claims to have no interest in politics, which makes the author suspicious that he was a Pinochet sympathizer. This modern, kaleidoscopic portrait of Chile feels like there’s constantly something boiling beneath the surface for the generation following Pinochet’s regime — everyone they see is either an accomplice or victim. 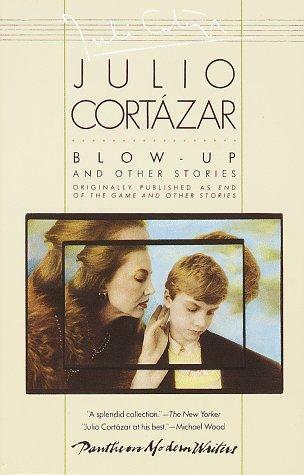 Start this collection of short stories with the feature: “Blow-Up.” It’s told from a strange perspective: a first person that divides into third person. I starts off innocently enough, with Michel taking a photograph of a couple in the park, but he soon becomes obsessed. He develops the photo and enlarges it to cover his wall, convinced what he thought he saw might actually be something else. You may have been required to read The House of the Spirits in high school or college, and if you liked that, you’ll surely love this. 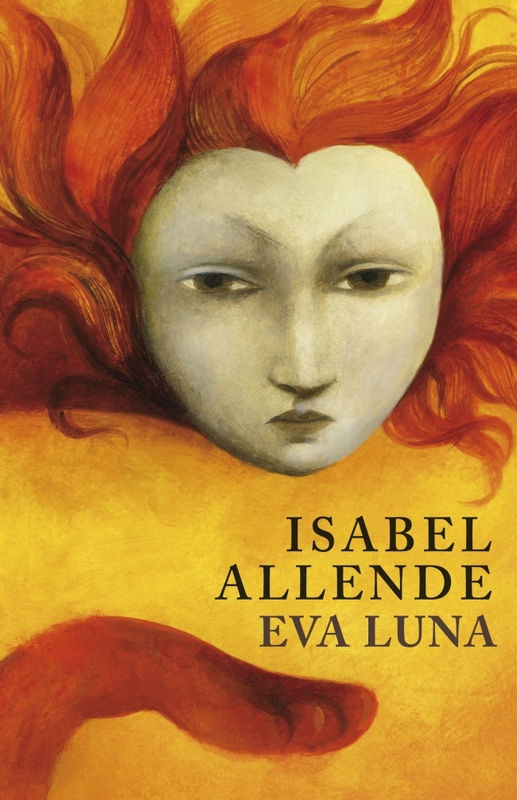 It is a more character-driven novel than Spirits, but still just as stunning as the rest of Allende’s work, drawing you immediately into the life of Eva Luna. She becomes an orphan at the age of six, and her madrina (godmother) leases her out as a servant to several different households of interesting characters. Eva eventually realizes that she has a talent for storytelling, especially when it helps her escape the realities of her own life. Eva Luna is a bizarre, beautiful story of what it’s like to grow with the strangers around you. Couldn’t get enough of Rafael Trujillo’s dictatorial terror in The Brief and Wondrous Life of Oscar Wao? This book is a great “next step” of sorts to dig deeper into the history of corruption and violence of the Trujillo regime. Llosa does this through a conversation of perspectives, starting with Urania, who comes back to the Dominican Republic at the age of 49 still haunted by the events of 1961, when the capital was still Trujillo City. Llosa does an excellent job satirizing Trujillo’s gaudy palace, goons and cowardice. This novella is a great example of a story that is 10 times more terrifying because of the childish perspective it’s told from. 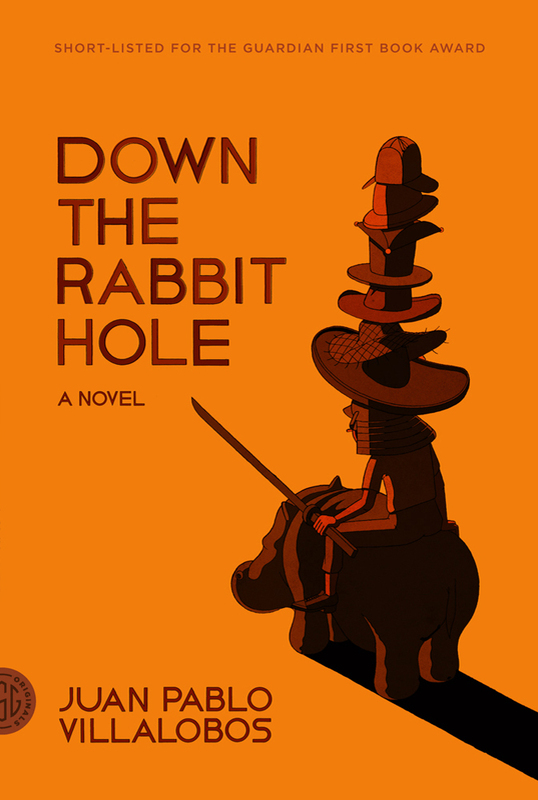 The narrator is an 11-year-old named Tochtli who lives in his druglord father’s luxury hideout. But Tochtli isn’t really concerned with the hit men, prostitutes and dealers around him though — he’s much more concerned about his hat collection and the possibility of getting a new pet for his private zoo. It makes you wish you could do something to take Tochtli away from it all ... if he could ever be saved from a childhood like that. 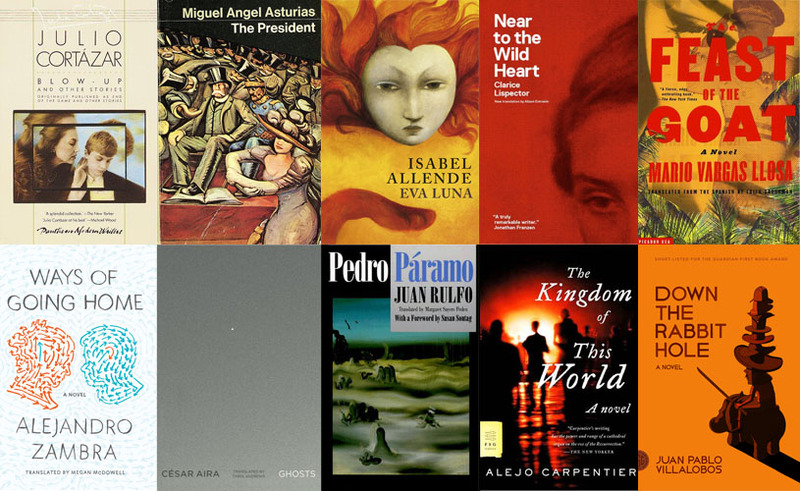 This list is a jumping-off point to exploring the work of Latin American authors and is no way meant to be all inclusive — but you can help us make it even better! 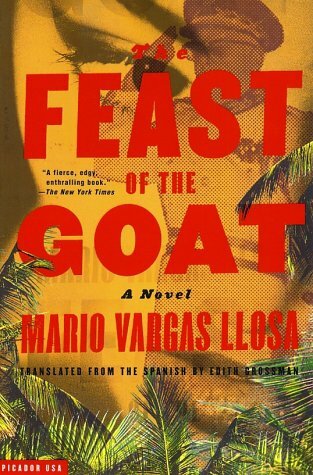 Which Latin American writers would you recommend to fellow readers? Leave your suggestions in the comments below!